Vajra is a combined effort of Santosh Bhakta Shrestha on Israj and Taa, Mohan Prasad Joshi on Jaltarang, Bidur Rajkarnikar on Bhusya, Dhaa, Khin and Tabala, Suresh Raj Bajracharya on Damokhin, Khin, Maadal & Sarod and Shushil Bishwakarma on flute. The album starts beautifully with two flutes playing a duet in which the second flute plays a lovely counter. Such duets are rarely heard and makes for great listening. Other instruments join in but, sadly the music starts to sound quite ordinary. 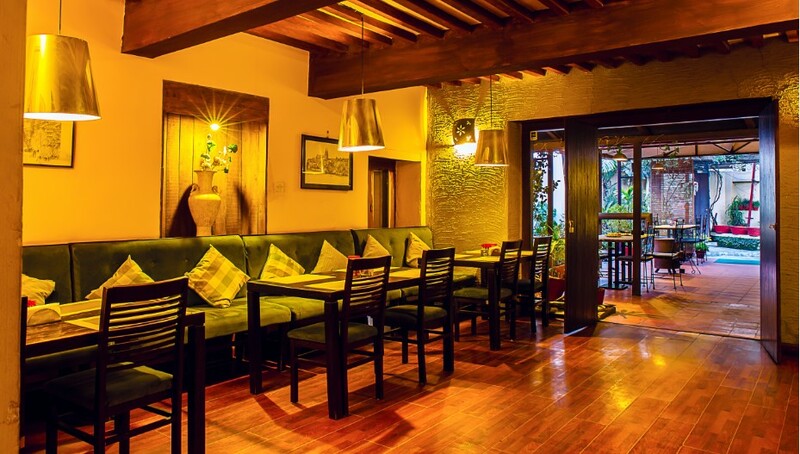 Entitled “Kathmandu Valley”, the tune is dedicated to Kathmandu. The beautiful sounds of the sarod and israj take over in the next track. 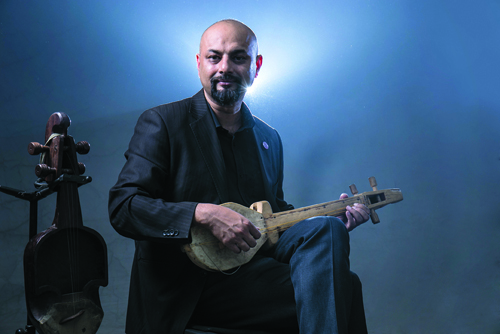 The sarod could be a fascinating blues instrument with its natural melancholy tone. “Peace & Harmony” brings tranquility to the listener. Accompanied by a tabala, this melody is devotional in its basics. In “Rain Drop” the Jaltarang takes over. This instrument sounds like a xylophone although it is quite different and the melody brings out the feel of rainfall. 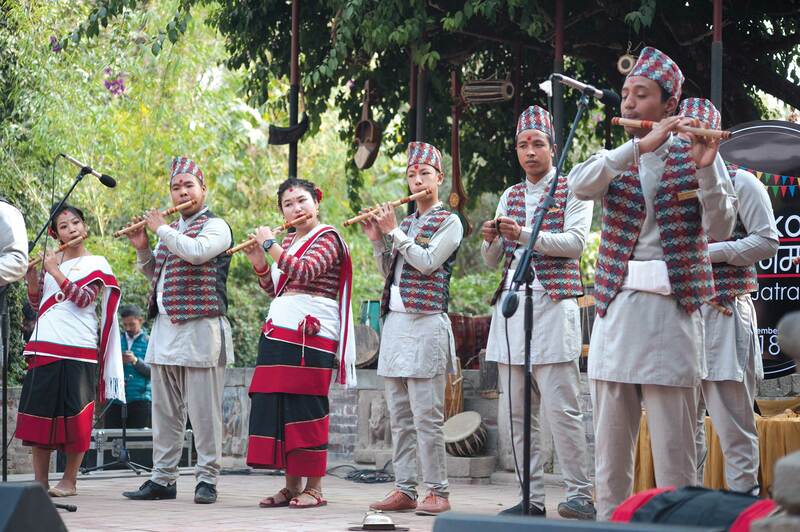 With “River Trishuli”, the lovely, haunting sounds of the flute is back. An accomplished flautist, Sushil Bishwakarma has tremendous control over his instrument. This melody brings out the best in him. 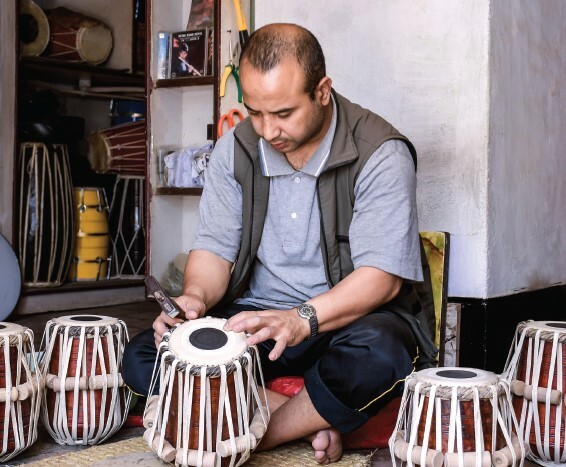 The tabala player displays his skills in track 9, “Waves”, a repetitive tune in israj, which does indeed give the impression of a recurring wave. The high and low notes represent the rising and falling of a wave. Bidur Rajkarnikar really lets fly on the tabala. His skills are amazing as his fingers move with tremendous speed, blurring the notes.